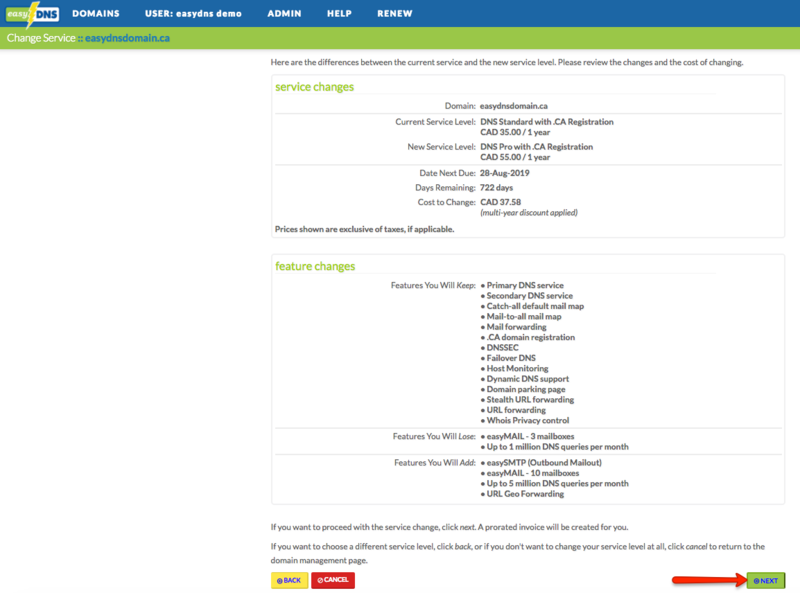 Upgrading/downgrading your service level is a simple process with easyDNS and can be done through your control panel. Also please note that there are no hidden costs or additional fees for service level changes other than paying the prorated difference if you are upgrading. 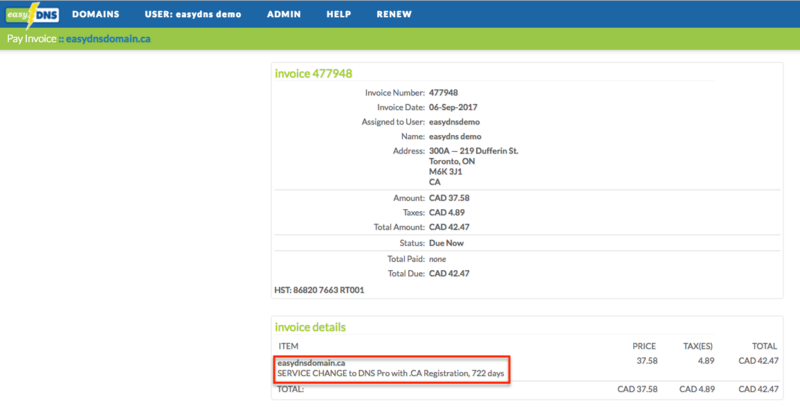 NOTE: If you find that upon renewing the domain you are still seeing the old service level price, there’s probably a preexisting invoice for the old service level. You will need to cancel the invoice and proceed with the renewal again. NOTE: If you are downgrading your service level (if applicable), our systems will credit the difference to your account. You can see your current credit balance under the YOUR INFO link on the left sidebar menu. NOTE: If you are downgrading and are currently using a feature that is specific to that service level, you will be prompted to disable this feature before continuing. Once you’ve done so you can continue with the process. 8. An invoice for the prorated amount will be created if your there is an additional charge for your upgrade. 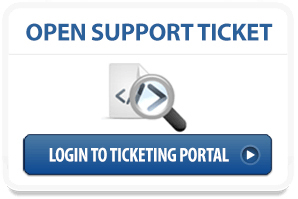 Click on NEXT to access the invoice or DONE to pay for said invoice later. If you would like to upgrade or downgrade any other easyDNS service but do not see the option, please contact our support team.